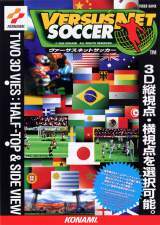 Versus Net Soccer © 1996 Konami Company, Limited. 28 different national teams are selectable in this soccer game. You can select from two 3-D views: half-top view or side view. When two monitors are used, one screen can be in half-top and the other in side view during the game. 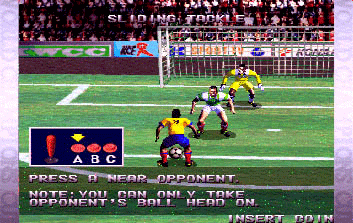 Versus Net Soccer was released in December 1996.